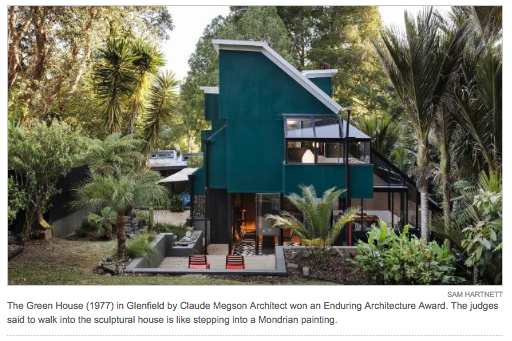 Very happy to say that last night Claude Megson's Green House, in Glenfield, won an Enduring Architecture Award at the NZIA awards dinner. The judges said "to walk into the sculptural house is like stepping into a Mondrian painting." Nice to see Megson's work being recognised, and his memory being kept alive. NB: I posted about the Green house a couple of years ago, when it went on the market. By all accounts, the new owners' remodelling is a great success, and I'd love to hear more!